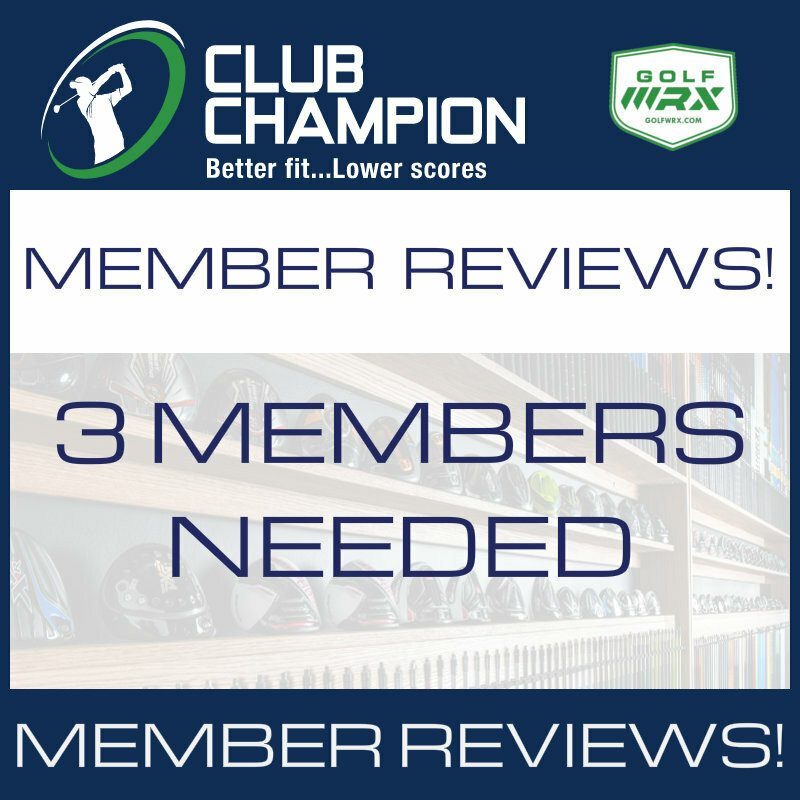 Discussion MEMBER REVIEWS: Club Champion Fittings! 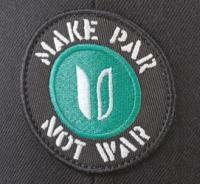 Read What Members Are Saying! 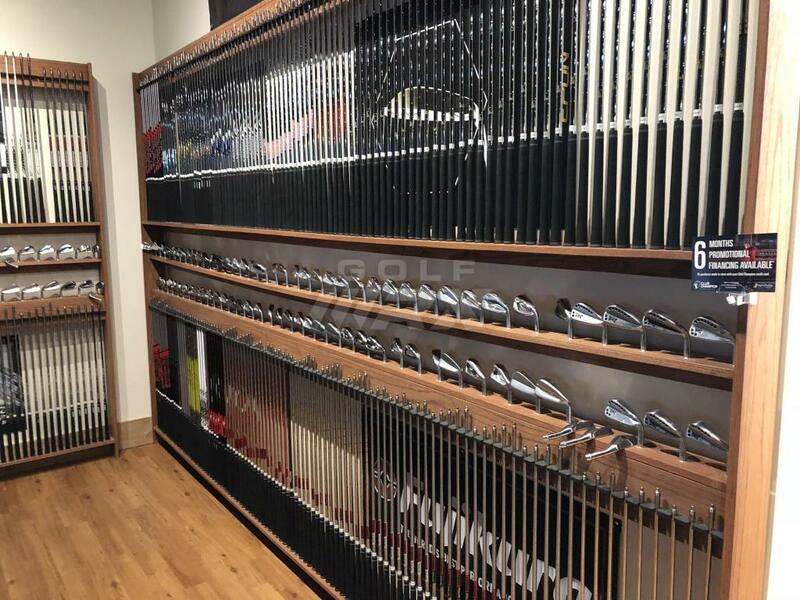 MEMBER REVIEWS: Club Champion Fittings! 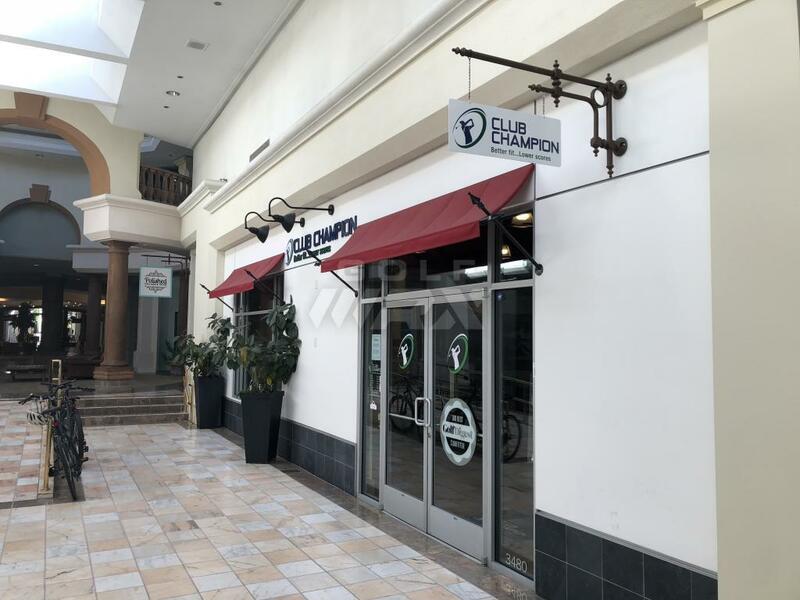 Read What Members Are Saying! First off I would like to thank GolfWRX and Club Champion for this opportunity. Having never been fit, this was an excellent way for me to see the experience without the upfront investment. Overall, I really enjoyed the fitting. There are some things that would have made it a little better, but that is certainly outside of the normal fitting. I’ll go into that a bit later. 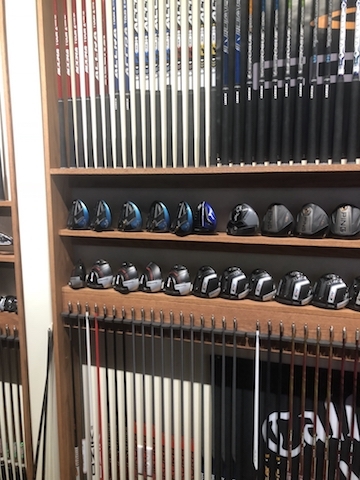 For my fitting, I chose to do a driver fitting. I didn’t grow up playing golf, rather playing baseball most of my summers. I didn’t get into golf until after college where I needed something to keep myself busy and still have some competition in my life. I’ve been able to improve over the 10 years. I’ve gotten myself down to just under 10 for my handicap. Distance is my strength. I have an ok short game. Accuracy is where I need to improve (in both my long game and iron play). I think I have improved my short game which helped keep my scoring consistent even though I have not been driving the ball as good this year. I am a feel player, but I love data. If the data says it is a good fit, but doesn’t feel well, I am not sure I would be able to play it. 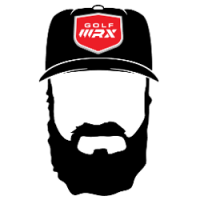 I like to tinker more than the average golfer, but maybe not to the level of a lot of the GolfWRX members. I built up my irons and wedges, using new shafts and used heads. I added tip weights to get the swingweights to where I liked it. I have a shaft puller as well, but that is about where my building skills end. I was fitted at the Deerfield, IL store. My fitter was Mike Storti. We started with introductions and going over my game and what I was hoping to get. I wanted more accuracy. I told Mike that I believe that I have a spin issue, mainly due to my negative attack angle. Mike looked at my current driver and took some measurements. I am playing a Callaway Great Big Bertha, 9* loft turned up to 10*. I have a 44.5” Diamana S+ Plus 60 X-Flex shaft installed. No tipping. I have two sliding weights that are moved all the way to the fade side. You can tell based on my data, I over draw the ball still. I have a big in to out swing path. Swingweight measured at D4.5. At this point I was ready to warm up. I hit some iron shots with a couple different clubs, then a few hits with a hybrid and then straight to the driver. I knew this was going to be a workout so I didn’t want to get too tired. I swung my current driver to get a baseline. I felt I was hitting the ball pretty well. Below are the stats for my current driver. 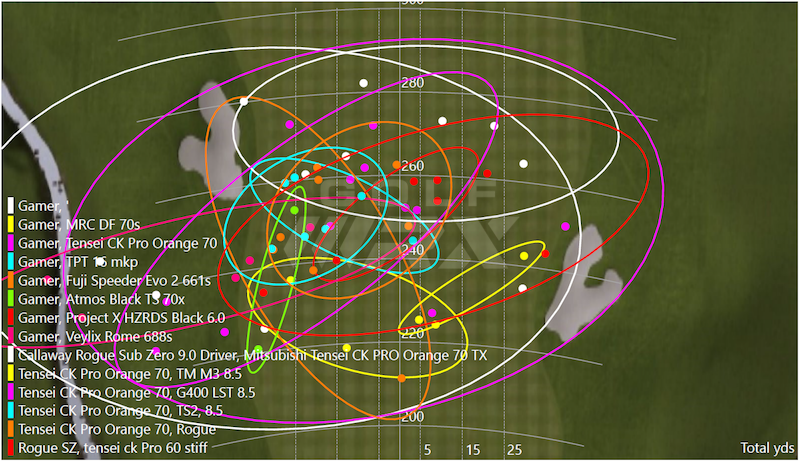 A trackman was used to get the ball data and Mike went through it all. I had a good understanding of the data, but it was good to go over everything so I didn’t have any incorrect assumptions. I was amped up and swinging a bit harder than normal. Spin averaged 3,338. Launch was 8.7 with my -4.6 attack angle. Smash factor was ok, but there was room for improvement. That and reducing the spin was the focus. I do wonder how much the two sliding weights near the back added spin. Perhaps something I can tweak. I now get how valuable having access to a trackman is. My fitter was awesome. He was easy to talk to about all things golf in between swings. 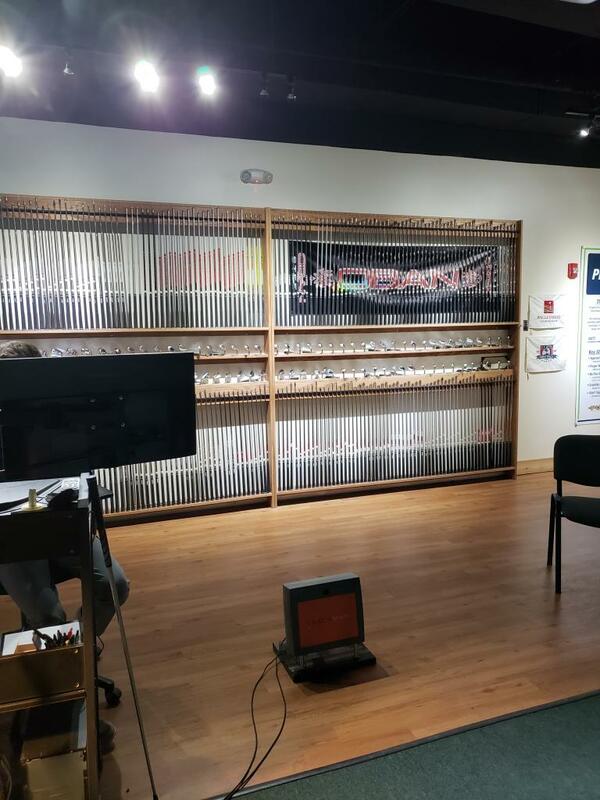 Although we didn’t get crazy with different heads and shafts, they looked to have a ton of options if you are looking for something specific. Knowing your numbers beforehand and doing some research prior to the fitting I think would be very beneficial. Since this was a fitting I wasn’t expecting, I went in with a completely open mind. I do wish I was swinging the club better. I probably had over 100 swings in about an hour and the majority were with the driver. I would have liked to have seen how good of contact I was making and been able to really compare good swings and good contact on each of the clubs/shafts. This really isn’t realistic though as we took the entire 1.5 hours and I don’t think I could have swung any more with any type of consistency. 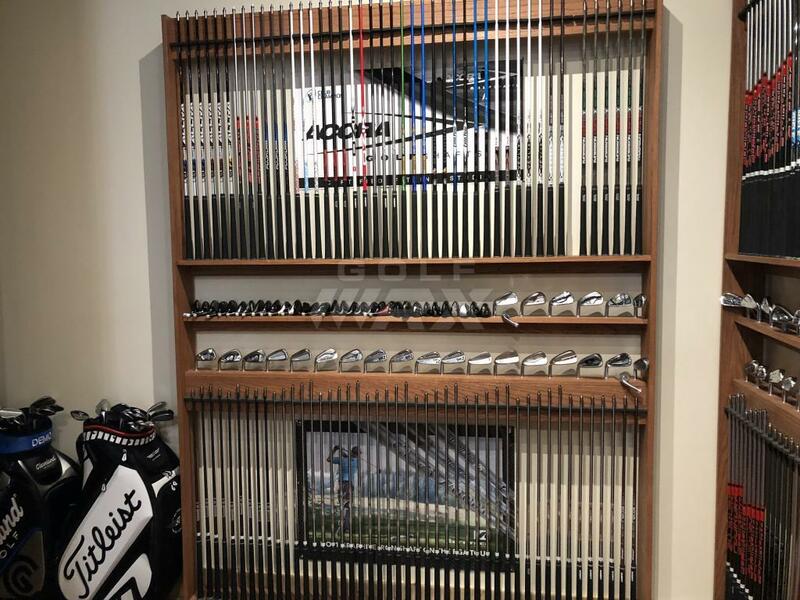 You would need to do multiple day fittings with the first day narrowing down the choices and another day looking at the best 2 heads and 2 shafts and finding the best scenario. I live in WI so I do have some time to think about what I would like to do with this data. I do feel I can reduce my spin by about 300 rpm with equipment changes as well as improve smash factor. I would also like to take my -4 attack angle to about -2 or -3 at most. That would help with spin as well. My current driver was by far the most accurate. I pair that with familiarity, the shorter shaft and putting better swings on the ball (no fatigue). However, I’m not sure there is a ton to gain at this time as my current setup wasn’t an awful fit for me. At most I think I'll be looking at getting a Rogue SZ head this winter and trying that with my current shaft. I feel there would be some immediate benefits there. Then when I feel my swing is better, look back at the Graphite Design Tour AD DI-6x and Accra FX 2.0 – M5 shafts. I'm looking to get fit over the winter and want to do full bag, but dont want to get tired before I finish the fitting. Thank you. I feel I am in pretty good shape, but hitting driver back to back to back for over an hour was tiring. I couldn't imagine a full bag fitting all in one day. Going back I wish I would have went to the range a few times leading up to my fitting. 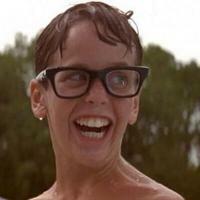 I was out of town the week prior and golf league for me ended 2 weeks beforehand. So I didn't swing a club for 2 weeks. 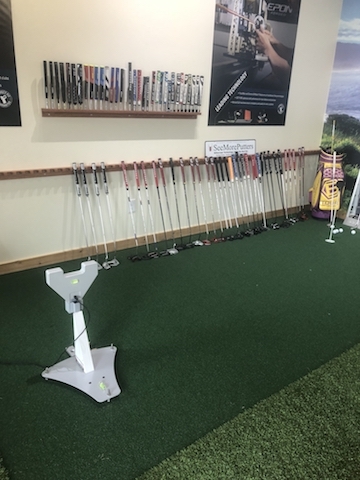 Doing a fitting over the winter is probably more convenient, but I think you have to be really comfortable with your swing to maximize the value. If (and it is a when) I do it again, I'll try and do it mid-season. I'd like to go thru the whole bag just to check where I'm at with what's in the bag. So, hopefully minimizing the driver swings will help with the longevity of the fitting. Thank you for the realistic review. So many times I see way too positive or too negative reviews that aren’t helpful. 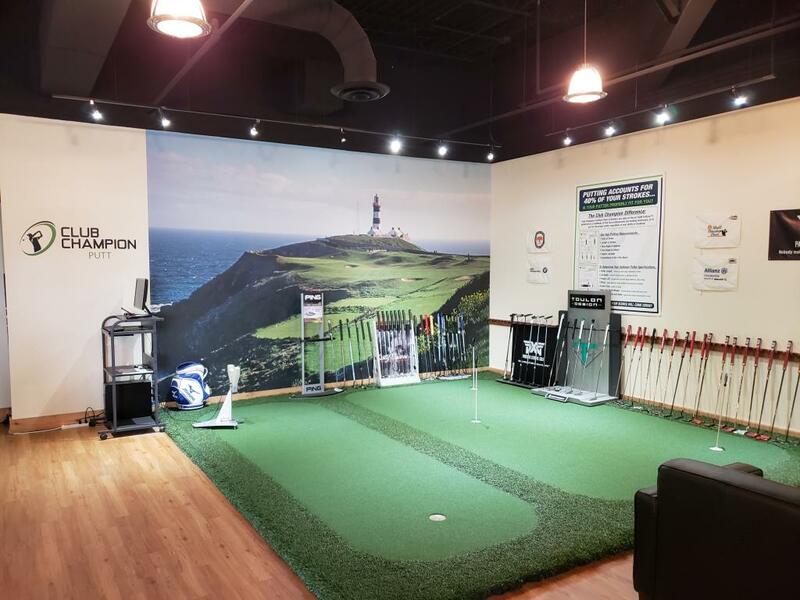 I had a putter fitting which was a game changer. Then I went back for a wood fitting. The wood fitting helped tremendously. I think that the cost of the fitting is worth it even if you don’t see a big improvement. 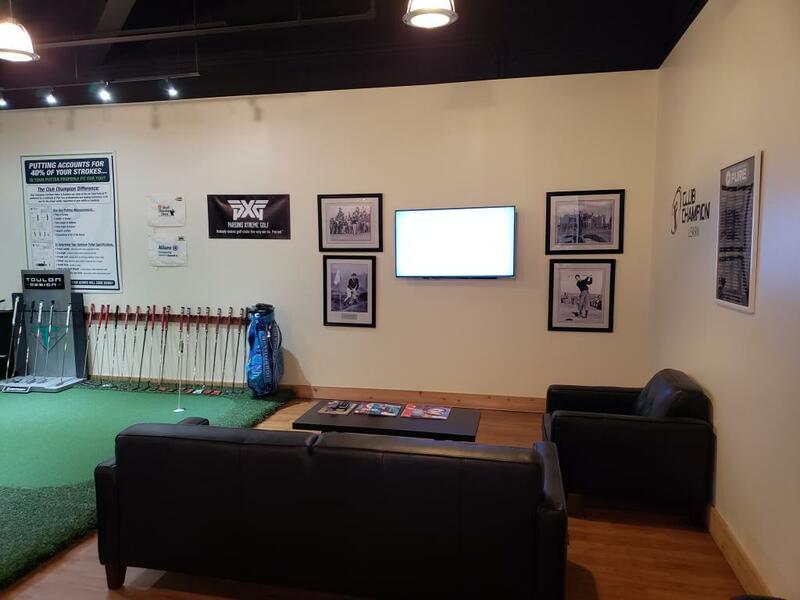 You get professional assistance and access to trackman data. You are at minimum paying to get a real assessment of your numbers and to be able to try so many club combinations. I just did a fitting on CC and did not work for what I was looking for... did the full bag and at the time for the irons, was too tired. I could see focusing on irons being valuable. If I was in the market for irons, I would have went that path. I was back and forth between irons and driver for my fitting and chose driver since I haven't been driving the ball very well. Last year I would have done an iron fitting with my driving being more consistent. I don't regret going driver, but I do wish that there were more things that could be adjusted. For example, head weight (for swingweight purposes) as well as loft and face angle. I know it gets into personal swing mechanics, but I do wonder how the spin would have been affected by opening the face a bit. Also, the driver heads I hit had varying lofts. How does that impact the spin numbers? My current driver is set at 9* +1. Was that extra degree of loft impacting the spin numbers? Can I get 300 rpm less spin by just adjusting my driver back to stock loft and moving some more weight up front. I have "self fit" myself over the years by trying different equipment and paying close attention to how equipment changes lead to changes in how the ball flight is. I feel that I fit myself fairly well. I have more mechanics issues that will have a bigger impact at this point then equipment changes can impact. But having the data to support some of your thoughts is priceless. Any confidence you can get in this game is worth the price. As mentioned before, I will be doing another fitting at some point. But this time, I will have more of a plan going into it. I was one of the lucky winners and will be going in for my iron fitting on Saturday. I am pretty happy with my current set, but it is just an OTR set of i200s. I am interested to see any suggested lie angle adjustments. I am also interested to see if I am better off with steel shafts or graphite. I have jumped back and forth on my last 6 sets. Sounds like you got a good idea of what you want to try and hopefully they are able to adjust lie angles for you on the fly and see the difference in accuracy. Ever been fit before? Only a few days away...! Will be interesting to see results and what works best for you! I want to thank WRX and Club Champion for the opportunity, the whole experience was a lot of fun and very informative! I did my fitting last Saturday and am just now able to sit down and write my review. First, a little about me and my current set up. I'm 40 years old and have three kids ages 9 and under. Needless to say I don't get out a whole lot for practice or to play. Although my kids are getting into it so I played a little more this year just by taking my kids out. During the summer I'm lucky to play one full round a week with sporadic 9 hole rounds with my kids. I also play a fair amount of charity scrambles throughout the summer because of my work. All that being said, my scores this summer were pretty good for me and my index went down from a 2.9 to a 1.9. and I'm pretty happy with my current equipment. I decided to get fit for irons. I currently have Mizuno JPX 900 tour irons with C Taper 120s shafts. +1/2" length, standard loft, 2 degrees up and D4 SW. I was fit for the irons last summer by a local fitter and have been happy with the performance. I've also played C Tapers for the past several years in other club heads. I chose the iron fitting because I am interested in new shafts. I've fought tennis elbow in my right elbow for several seasons and want to try different shafts to see if it would help. I'm in Wichita, Kansas and made the trip to the Overland Park, Kansas store. I snapped several pics but am not the best photographer. I thought CC does fitting off the 6 iron? I assume that the fitter just mistyped that based on your swing speed and values. That would be crazy numbers on your gamer 7 iron. I wonder if headquarters will penalize the fitter for that mistake as I’ve heard HQ is strict about everything being perfect. Now there’s a posted picture of a mistake if it is one. I’ve done many CC fittings because my friend runs one of their shops and no one has ever been fit into a Bridgestone. I like the way they look so I’ll be interested in hearing more on how you like them if you ever choose to replace them. All fitting was done with 6 iron. I warmed up with my 7 iron while the fitter was measuring the specs on my 6 iron. 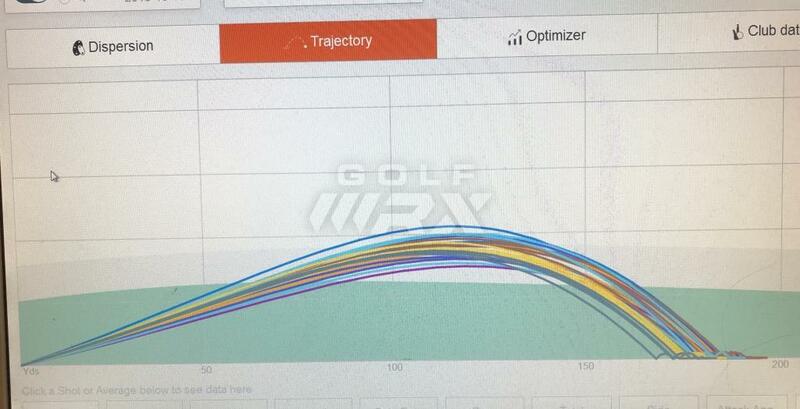 The fitter captured the data with my 7 iron and the pic showing the fitter looking at my 7 iron data is correct. At the time I was surprised with the club head speed relative to my 6 iron, but it was absolutely my 7 iron data, no mistake was made by the fitter. 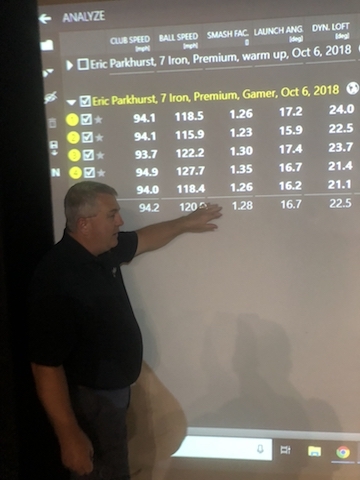 Before we started the fitting with 6 irons he used the 7 iron measurements to walk through the different data points that he would look at during the fitting. He even discussed the standards the Club Champion holds the fitters to for quality control. The fitter was very detail oriented and methodical. In fact, the final print out sheet showed the PW loft off by a degree. I told him I would just write the correct loft in the margin and he said he couldn't do that because of the standards they adhere to. He made the correction and reprinted the spec sheet. I do think corporate holds the fitters to high standards and Kent met and exceeded those standards. 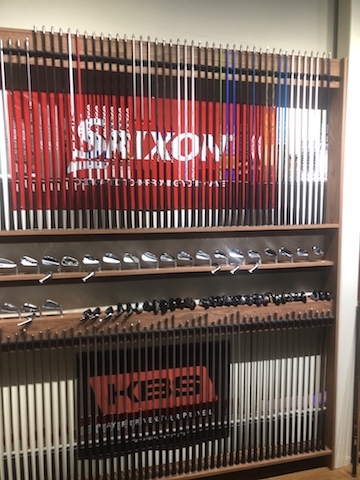 I won't end up buying the Bridgstones but they are good looking clubs. They are a little longer heel to toe than I am used to and have a slightly wider sole and help in the cavity, but look very much like a players iron at address. They did a good job of "hiding" the meatiness of the iron when looking at it from address. 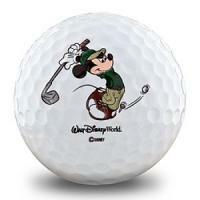 First off, I would like to thank GolfWRX, Club Champion and Leif Erickson for this amazing opportunity. I am 27 years old. 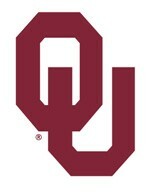 I have played golf all my life and was lucky enough to get the opportunity to play college golf. I am married and have an 18 month old daughter. I play off of a 4 handicap, but I have not been playing a ton lately with my daughter now being on the move. I have an ugly but effective golf game. I am a very low ball hitter. Big time tinkerer. Champagne taste on a beer budget golfer. I currently play Ping i200s with Nippon 105 stiff. Totally stock. I bought these on a whim and have had decent results with them. I have gone back and gone between steel and graphite shafts in my irons and I was curious what shaft was going to produce the best numbers for me. I live in Millstadt, Illinois and made the 45 minute drive to the St. Louis store for me fitting. I was greeted by Leif when I walked in the door. Leif has fit me for wedges and a driver in the past. So we are familiar with each other and Leif knows my game. Leif started off asking me what I was looking for in my fitting today. I told him that I was looking to improve ball flight and descent angle. I was not concerned with gaining any distance. I started off hitting some 7-irons to get loose. Leif wanted to make it clear to aim at the center of the screen and let my ball do it’s thing, rather than aiming for my normal draw. 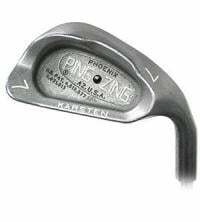 Once I felt comfortable, I switched to a 6-iron to get some baseline data with my gamer. 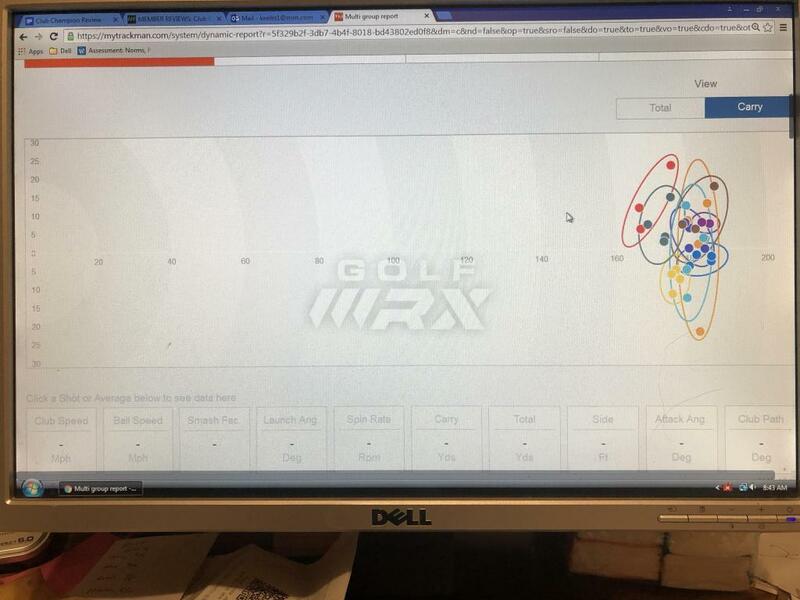 Leif did a fantastic job explaining what I should be looking for in each category of Trackman data. 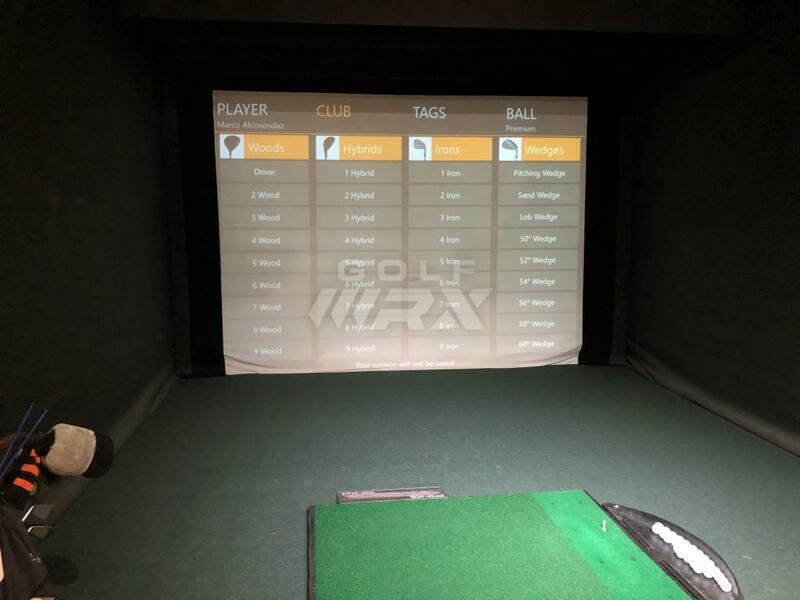 As someone who felt like they had a decent knowledge of Trackman, I was sent to school. After warming up, Leif grabbed a Ping i210 head, being to closest to my current gamer, to try out some shafts. First up was the KBS Tour 90. The shaft felt good and I had good dispersion with this shaft. I didn’t quite get the distance that I was getting with my gamer, but the shots were consistently flying higher, with a better angle of descent. We were off to a good start. Leif then suggested the Aerotech Steelfiber 95. I played the Steelfiber 110s in a set of AP2 a few years ago and liked them. It was evident pretty quick that this was going to be “the” shaft. It felt great, peak height was great and descent angle was great. 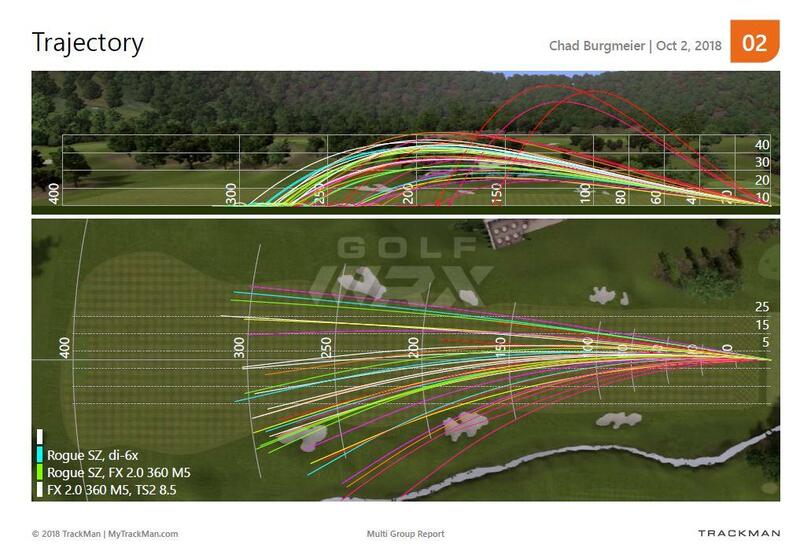 It also flew, on average, 8 yards more than my gamer and 5 yards further than the KBS Tour 90. We wanted to make sure all bases were covered, so we tried a few more shafts. Next was the KBS Tour 120. I got some decent results with this shaft. But I wasn’t getting the launch angles that I was getting with the Steelfiber and I was laboring to get through the ball a bit with the heavier shaft. After deciding on the Aerotech Steelfiber 95, Leif asked if there were any heads that I really wanted to hit. There was one….the PXGs for no other reason than that it was probably the only time that I will ever get the opportunity to hit one. I hit about 4 shots with the PXG and was getting numbers very similar to the numbers I got with the Ping i210. 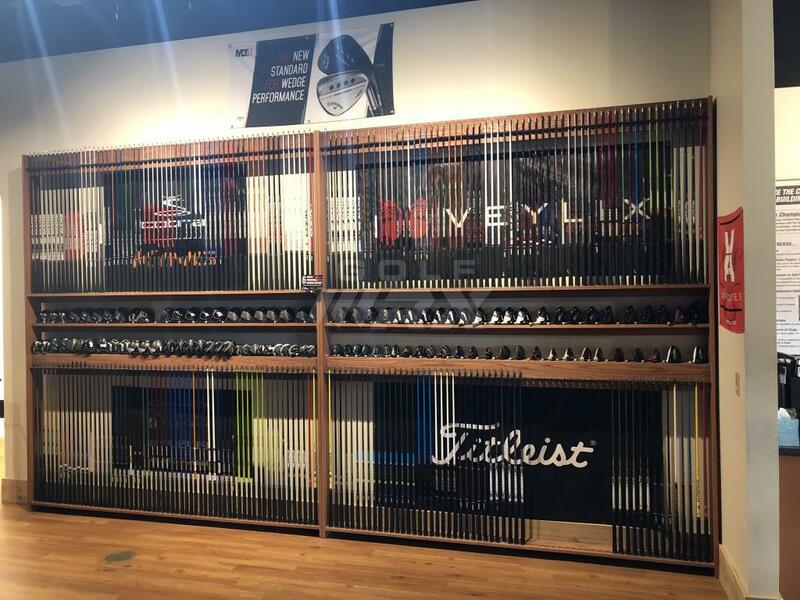 It was a very solid club, but I had no intention of walking out placing an order for a set of PXGs. Time for the real club search. We started with the Srixon 585. A great sleeper club. Looks great and feels great. 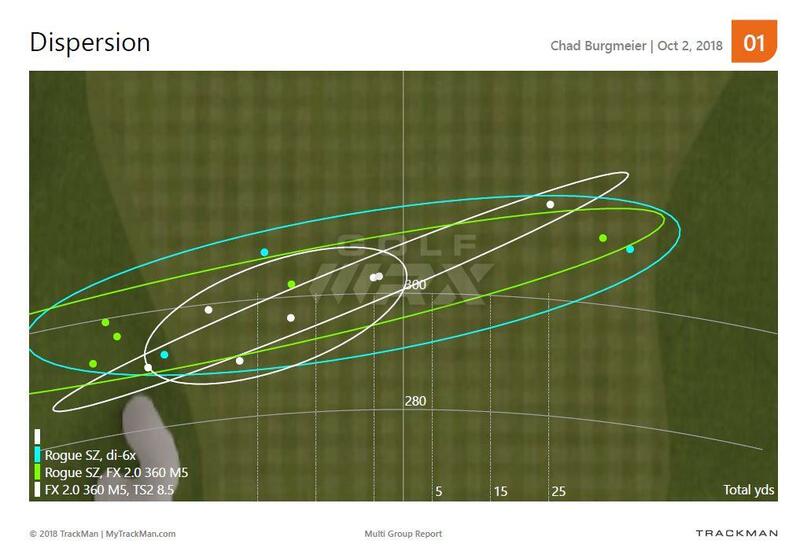 My yardage gapping was good, but I wasn’t getting the dispersion that I was looking for. The Callaway Apex CF was next up. The iron that Callaway can’t get rid of. Great lookin stick and looks incredible at address. Dispersion was good but it was launching low for me. The next club was the final club, the Mizuno 919 Forged. Great looking club and one that I was anxious to hit. I have had a few sets of Mizunos before and their reputation is impressive when it comes to irons. This turned out to be the club that I was looking for. Awesome trajectory. The best height and descent angle of any. 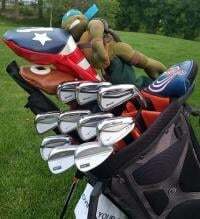 I had my tightest grouping with this set and it was long(the Callaway was longer but were knuckleballs). With the 919 Forged, I was gaining 3 mph club head speed, 4 mph ball speed, proper spin rate, 10 yards carry, 11 yards total, much tighter dispersion and much better trajectory(my highest i200 was my lowest 919). After deciding on the 919F-Steelfiber combo, Leif wanted to compare with swingweight and lie angle with my current gamers. It turns out that my i200s were at a D1 swingweight and standard lie, whereas the 919F was a D2.5 swingweight and about 1* upright. **I apologize for the lack of pictures. I had every intention of taking some, but I was just enjoying the experience too much** The experience was amazing. To be able to hit all of these head/shaft combos, see all of the data and really see how much being properly fit for irons can improve one’s game. I would absolutely recommend this to anyone who is thinking about it and I would recommend Leif to anyone in the midwest. This summer buddy, come on down!! Get it nailed down! 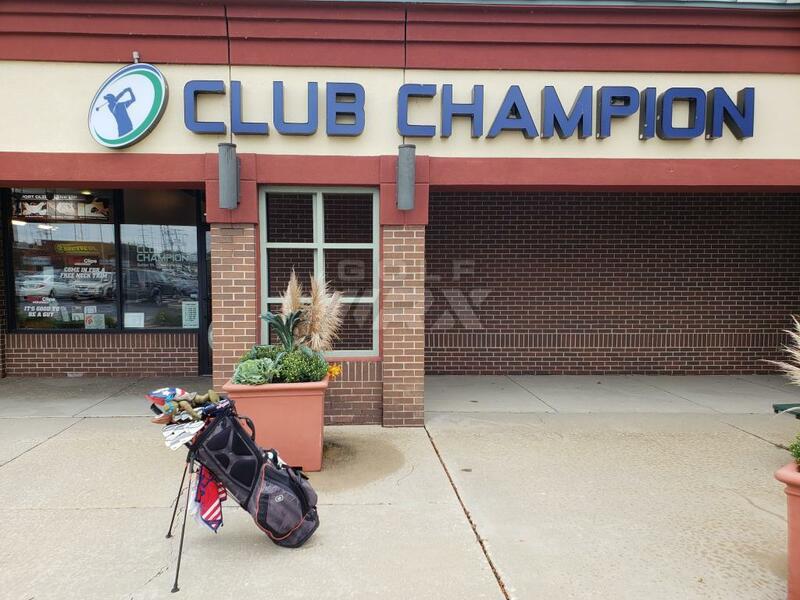 First off, I want to say thank you to GolfWRX and Club Champion for the opportunity! And secondly, I apologize it took me a little while to get this posted, I was fit on 10/12, and have had a busy few days since then. I'll start with a little about me and my game. I am 33 and have been playing golf off and on for the last 10 years or so (range a few times and a round or two a year would be "on"), but have taken it more seriously probably over the last 3 years or so. My handicap currently sits at a 16.1, however most of my current scores would probably reflect a higher handicap than that. I worked hard on my game in the off season leading into last summer and I got my handicap down from 19.8 to a 15.1 by the end of the summer. At the end of last September, my wife and I welcomed our first child and as I am sure many other parents have come across, available time to play golf, let alone practice, definitely takes a major hit. My current scores reflect that time hit, but I wouldn't change that for the world. However, this summer I have had a little more time open up to practice and play somewhat regularly and at this point I feel like I am close to turning my game back around to trending in a positive direction and just need to bring my swing from the range to the course. I would say the best part of my game would depend on the day, but it would generally be putting. The worst part of my game has pretty much always been off the tee. In the past, it was any wood whether off the tee or not, but after getting my current 3w, the driver has been relegated to the worst part of my game. So much so, that I bagged the driver and hit 3w off every tee toward the end of last season and that definitely attributed to some of the better play. In the off season, after some testing, I picked up my current driver, Cobra F8 with a Aldila NV 2KXV Green 65 stiff shaft currently set to 10.5D and weights in draw setting. My miss historically has always been a slice, started out as a pull slice. And, after working on my swing over the past year or two to get rid of the over the top move, it has become more of a push slice. Since, getting the driver and using Cobra Connect, it slowly started to get me to put the driver in the most draw setting. First being the draw loft, then standard loft with draw weights, and then finally both draw loft and draw weight. The F8 brought some positive change, some added distance at times and in a draw loft and draw weight setting eliminating the right side that plagued me for the most part, but generally overall mixed results especially with distance and consistency. So that leads me into my driver fitting at Club Champion in Danville, CA with Miguel. 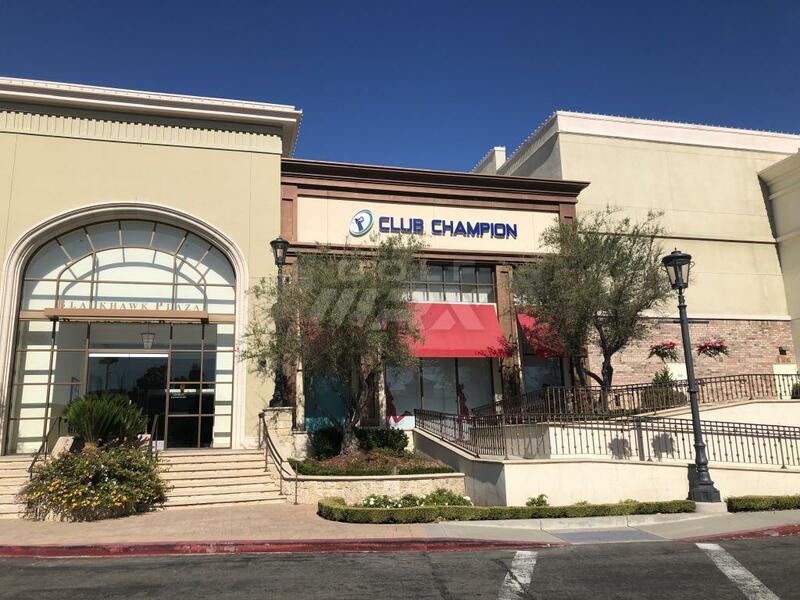 I live in Rancho Cordova, CA which is in the Sacaramento, CA area and it was about an hour and 45 min drive to Club Champion. I got there about 15 min before my fitting. I was greeted by another fitter and filled out a questionnaire while I waited and I took the time as an opportunity to take some pictures. They have a really awesome set up. 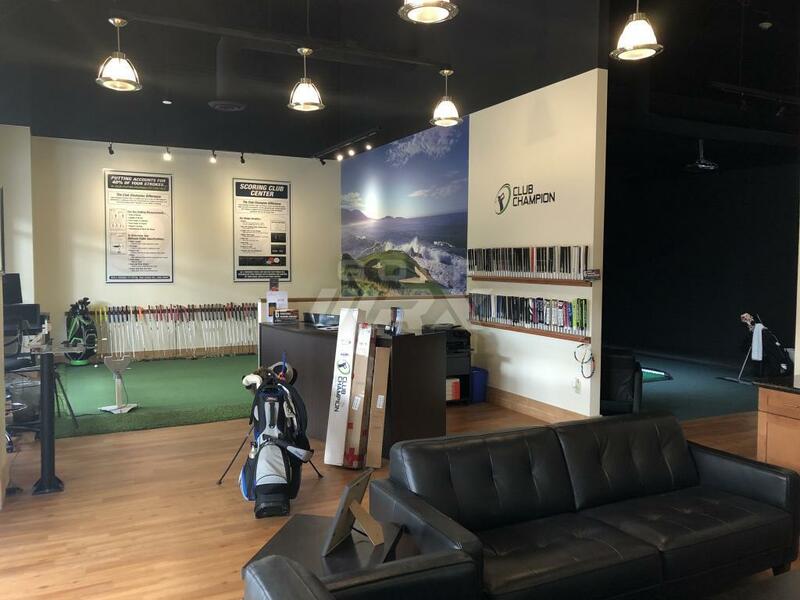 Putting green with Sam Putting Lab, a lounge area with a TV, snacks and refreshments which I definitely needed so that is awesome they offer that to their customers, two hitting bays with Trackman, hitting mats with fiberglass boards to mimic turf interaction and obviously plenty of shafts and club heads. At my fitting start time, I met Miguel and we chatted about my game both past and current and got to know each other a little. We both have babies who just turned 1, talked basketball (he's a Warrior fan and I am a Kings fan), where we are from, my history with sports (growing up playing basketball until my 4th left knee injury in 2010 got me to quit the game), and about his golf game (he plays to about a 3 handicap), etc. 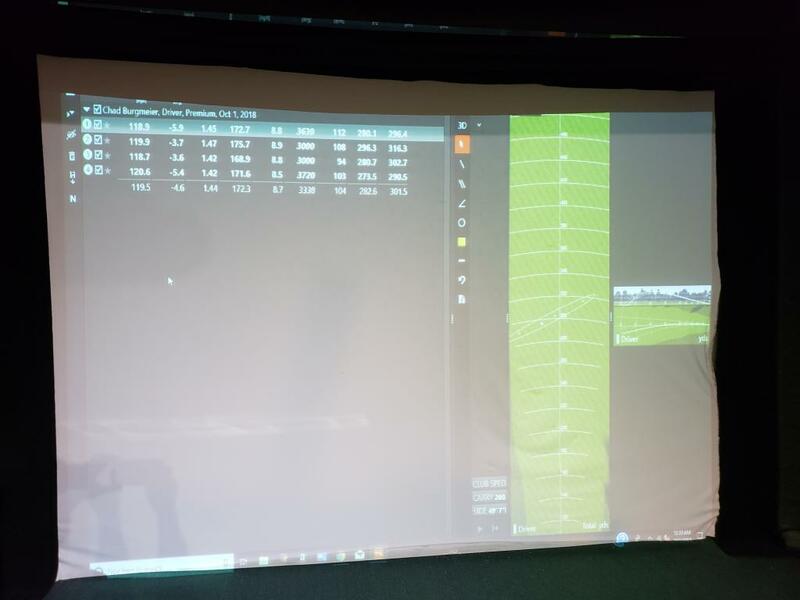 It was nice to chat about some non-golf related topics a little to just break the ice and help me relax as I was a little nervous for some reason with this being my first fitting ever and to calm my over excitement as this was also my first time hitting on a Trackman, so I was really looking forward to seeing the numbers I generate. Now that we had that baseline, we went to work. He stated he was more concerned with maximizing ball speed and smash factor with my current swing speed and less concerned direction at this point. Also noted that he hoped to get my launch down to around 15 degrees and spin around 2400 rpm. While, I was open to whatever set up fit me best, I was also curious about what would fit best for my current driver head. 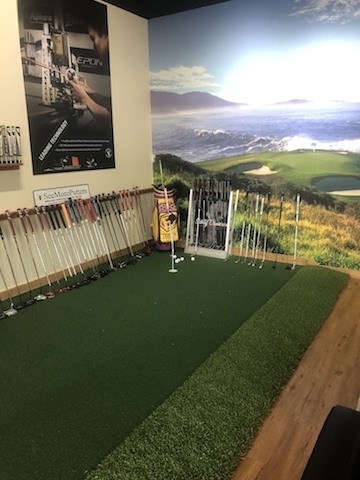 So, we started with finding a shaft that fit best with my current head and then would go from there trying that shaft out with different driver heads to see if there was something better. Miguel targeted shafts that were a little heavier and stouter in the tip. He felt that would help me load the shaft better, feel more of where the driver head was throughout the swing, to not hang back as much, have a better tempo, and to square up the face. We went through 7 total shafts and about half way through he found that we will definitely have to come down in loft. A few observations on feel from testing out of the 7 shafts, the Atmos felt like I was swinging a heavy shaft that had no flex whatsoever. After a few swings with the Atmos Miguel admitted he was trying to test the ceiling with that shaft and I would definitely say we reached the ceiling with that one. LOL. The ones that felt the best for me were the Fujikura Speeder 661 Evo II, the TPT, the Project X HZRDUS Black, and the Tensei CK Pro Orange. 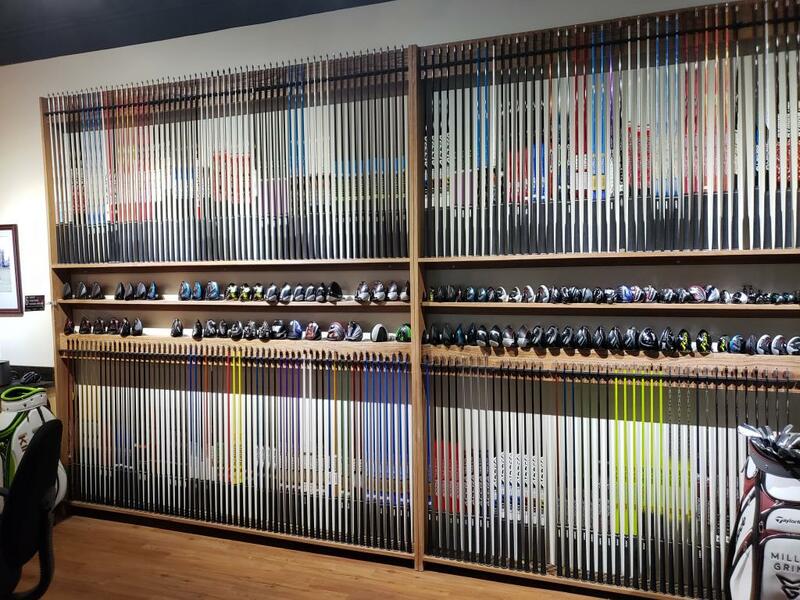 Each of these shafts gave me a better feel of the club head. And, to Miguel the Tensei was the clear way to move forward to try to find a head to pair it with. 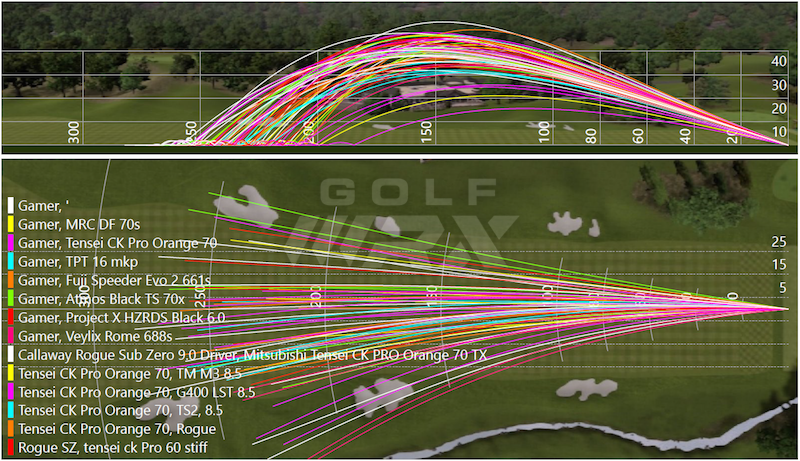 Here are the averages of the 7 shafts with the Gamer head and the numbers with the Tensei CK Pro Orange. However, one key note about the Tensei CK Pro Orange. I remember when I was handed the shaft originally to test in my Gamer that it was the 60s and didn't realize at the time that it was labeled as "70" in the description. It wasn't until I took a swing with standard Rogue and I asked him about the shaft. He mentioned it was the 70TX, which surprised me, and when I looked down at the shaft and it was the 60s which I thought I had been hitting all along. I even remember checking once or twice throughout the testing of the other heads. He said he must have switched it out by accident. So from then on, the TX was the shaft we used with exception of the 3 swings I took with the Rogue SZ to compare. The heads I tried after this point in the fitting were the Rogue (remaining 3 swings), TS3 (4 swings) Gamer in 9.0* with weights in draw (3 swings), and Rogue SZ heavy weight back (6 swings). 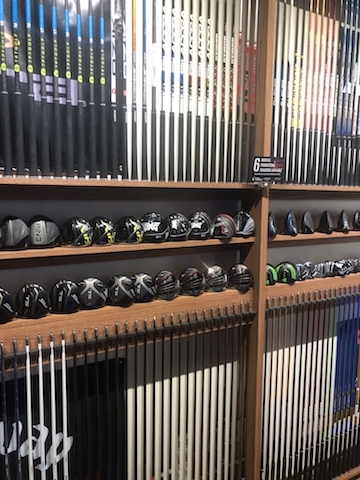 We tested 7 different driver heads. I always leaned toward the more forgiving driver head models because of having the added forgiveness and never entertained the thought of a low spin head. But, with what Miguel saw with the launch angles and the high spin numbers from my current gamer, it was evident that I could benefit from the low spin characteristics of some of these heads and pairing them with the right shaft for me would allow me to have a more consistent strike and to consistently square the club face. I will say, it was awesome and some what mind blowing to see swing after swing produce a right to left shot after right to left shot without the need for the driver head to be in such a draw biased setting. Having pretty much played my whole life teeing it up on the right hand side of the tee box and aiming down the left side of the fairway and cross my fingers that the ball doesn't over slice, it was a very welcome change. As for my thoughts on the driver heads, I wasn't a big fan of the look of the M3 nor the G400 LST, I just don't think they suited my eye for whatever reason. As for sound and feel, nothing there to note that put me off enough to rule out any drivers from that point of view. They all sounded great went hit well and I knew in an instant that I hit a good one. As for the others, I was open to any of them that produced, but to me there were 2 that stood out the most. One was the TS3. I loved the traditional look of the club behind the ball. I had been playing Titleist drivers for years prior to picking up the F8 and there was just a familiarity there. Also,there was this very pleasant aerodynamic sound as the club moved through the air in the downswing that made me feel like there was so much more speed there, although the numbers may not reflect that it was markedly faster than any of the other, it was just a sound I can't get out of my head. And, as I write this, I wonder what could have been if I had this head paired with the Tensei CK Pro Orange 60s. Also, another standout is the Rogue Sub Zero, there was something about it that when I set it up behind the ball, that gave me confidence that I was going to put a good swing on it. Here are the averages from the all the swings taken with a Tensei CK Pro Orange and the numbers for the both the TS3 and the Rogue SZ. So after 105 swings, 75-80 driver swings, the setup recommendation ended up being the Rogue Sub Zero in 9* with a Tensei CK Pro Orange 70 TX. Miguel felt this set up was the best combo that helped with my sense of where the head was, my consistency of strike, allowed me to square up the face and brought both spin and launch down. While I agree the numbers we were generating supported that, the 70TX did feel like it could be slightly too much for me to handle and that I pretty much have to swing full out to generate these numbers, but that could also just be how I felt at the time because the idea that the 70TX was introduced toward the tail end of my fitting when all those swings were starting to catch up to me. Also, with the 60s and 70TX confusion, I think more testing would be prudent to really pin point the shaft just to clear up any confusion and to confirm whether the 70TX is or isn't too much for me to handle. Also, as I stated, there is still part of me saying "what about the TS3?" I would once again like to thank both Club Champion and GolfWRX for the opportunity to get fit for the first time. 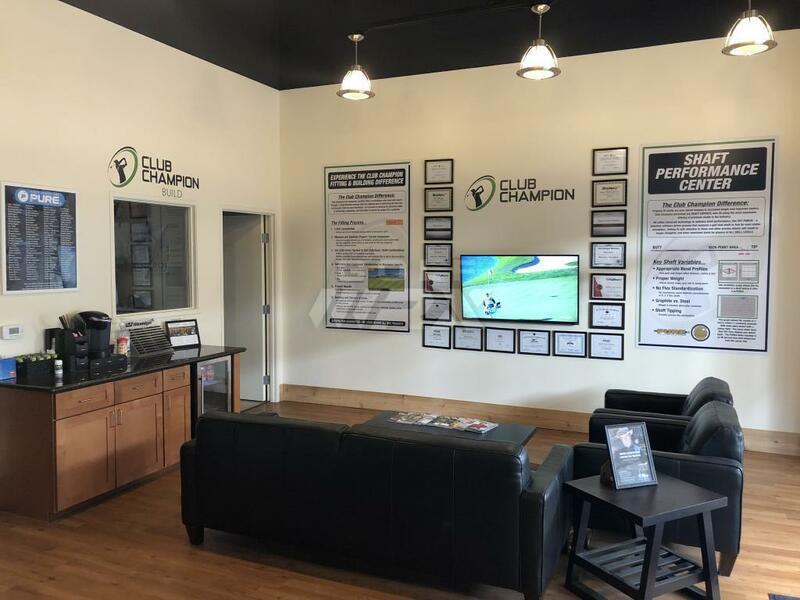 I really enjoyed my time at Club Champion and it was an incredible experience. Miguel was awesome. He was easy to talk to and provided great service. Even went above and beyond to check my iron lofts because I mentioned to him I had been meaning to get them checked. Overall, it was a very eye opening. 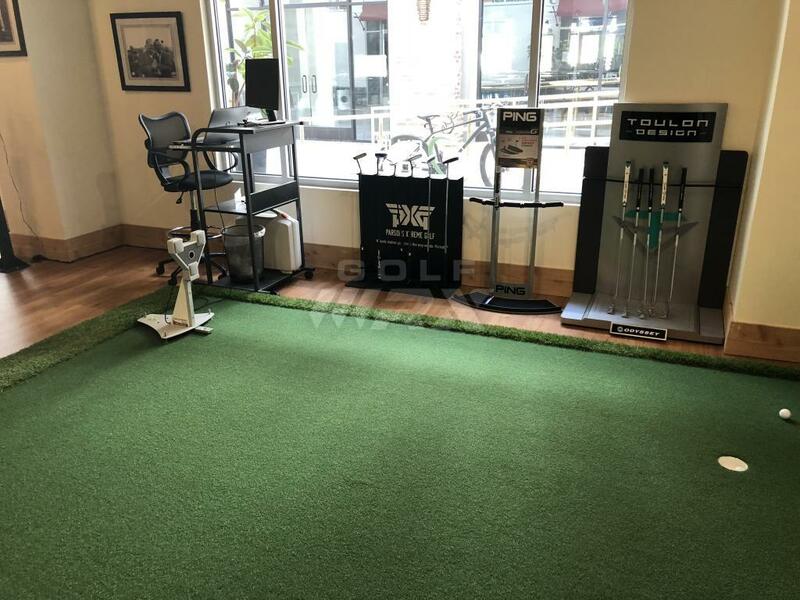 I now see how valuable it is to get fit and the positive effect of having clubs fit for someone's swing can have and where it can spur on game and score improvement. 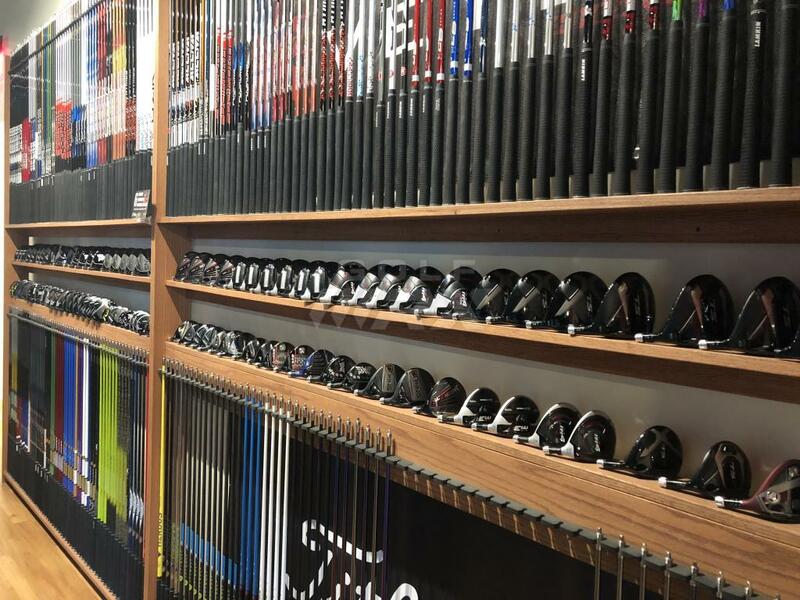 Even if one doesn't end up purchasing the recommended club(s), the fitting experience and knowledge alone of what one's swing is doing and the output one generates can help any golfer improve and play more consistently is so worth it. And, I definitely feel this knowledge will help me improve my game moving forward. I would recommend Club Champion and Miguel to everyone. Great thread. Going in for a long game fitting on Saturday. Can't wait to see what combos I'm fitted for. Great experience for me every time. Expensive but worth it IMO. Did you only try the 8.5 in the G400 LST? Ping Sigma 2 Kushin C 33"
I may have a couple of clubs laying around, but all are built to the same exact specs for sure!! Yes. And I hit some moon balls with it due to poor face contact. I prefer more loft as I feel it is more forgiving for me. 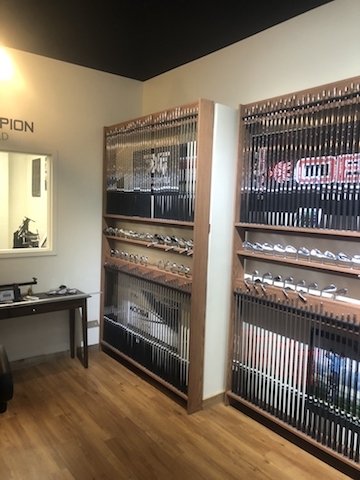 Thank you to Golfwrx for the opportunity....just kidding, I wasn't picked this time but I decided to go in to Club Champion for a fitting anyway. I was not super happy with my 3 wood and wanted to get a proper fitting, but decided to do the driver and hybrid as well just to see if there was anything better. 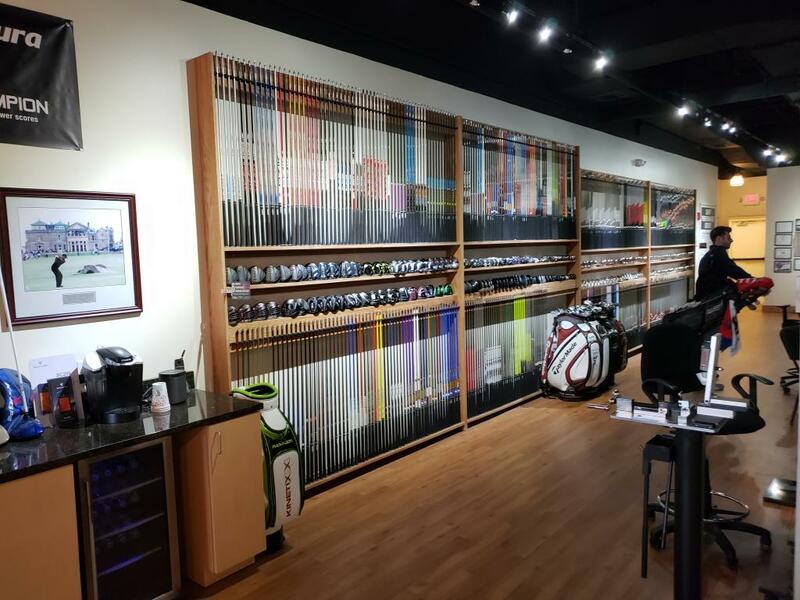 Driver: We tried my PING G400 head in my gamer shafte (Evo ii 757 stiff), then plugged in a bunch of shafts to see if anything gave me better ballspeed or launch conditions and then try some new heads. Long story short, the driver I have is a really good fit for me already. He said if I just wanted something a bit different, the best combo I hit was the M3 440 head at 10* lofted down to 9 with my gamer shaft. We also tried the G400 LST and Titleist TS3 both of which I was surprised to actually not prefer. Shaft notes: I also hit the Atmos Black S and Accra Tour Z RPG 300 M4 really well. I tried one of the TPT shafts (don't remember which one) and it has a super unique feel to it that I kind of liked, but I just hit it really poorly. Definitely not a shaft anyone should be blind buying! I also remember really liking the feel and balance of the Accra. 3 Wood: was very curious to see what I would be fitted for here, as I have tried probably 6-7 different fairways in the past 2 years with mixed results. I've tried everything from 13 to 17 degree heads with all the typical shafts that folks usually recommend for fairways. The winner: Titleist TS3 15 A1 setting, neutral weighting, Tensei Pro White 70 TX no tipping at D6. For whatever reason the Pro White just worked for me in every head we tried. We tried it in the Rogue (which is my gamer) and I actually got higher ballspeed than the TS3, but was a little left and spinny and I loved the look of the Titleist and the fact that I can adjust it if I need to. 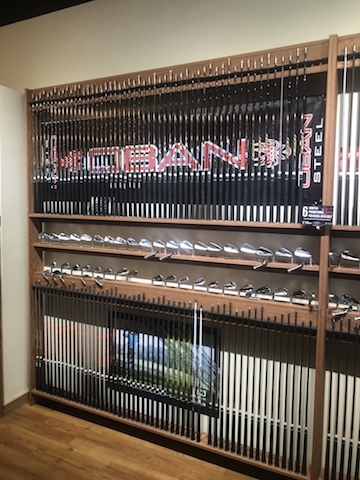 We also tried the Raijin 74 Four and the M3 3HL head, but the Titleist was just the best all around, which is what I have been looking for. Hybrid: I am super happy with my hybrid already, but just wanted confirmation that it was good, and perhaps see if there was a gapping issue. The fitting confirmed that it's a really good fit for me (Callawy Apex 20, Raijin 84 Four). But, if i just wanted something new, the best combo we tried was the Taylormade M4 19 with Tensei Pro White 90TX. We also tried PXG, PING and the GAPR heads. Super fun experience. I have actually never done a fitting like this before, but I know my game pretty well and have done enough trial and error with clubs to know when I hit something well. Just to have confirmation that some of my gamers were great fits already is very valuable.The surprise to me was the Tensei Pro White was such a good fit for me in the fairway and hybrid as I thought this was a low launch low spin shaft for someone that is super high speed or hard-loading. I just would never have tried it in a fairway at that flex on my own. 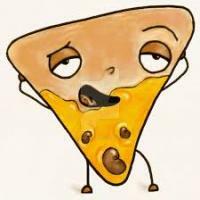 Great reviews... did anyone get hooked up with a discount? 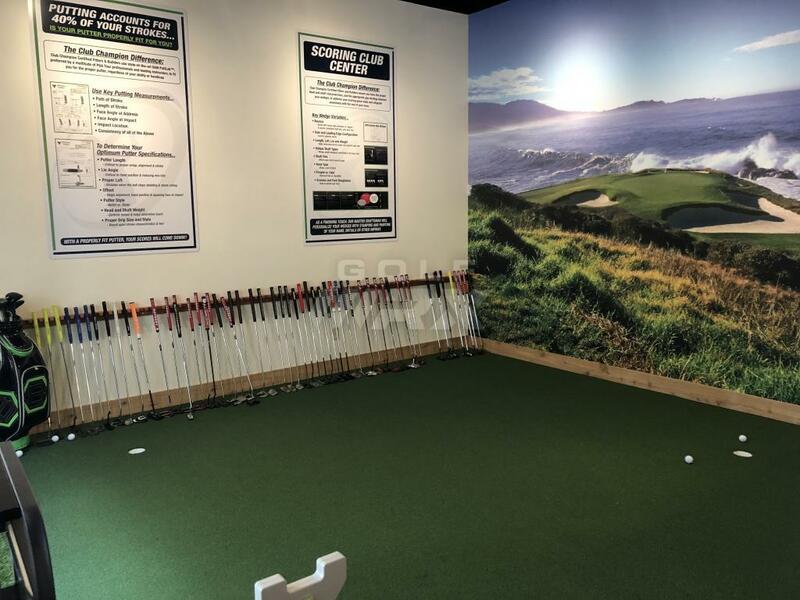 If someone went for a fitting could they try previous year models that aren’t as expensive? I went ahead and pulled the trigger on the 919F. They arrived at the shop yesterday but I won't be able to swing by to get them until Friday. I'll be going in for an iron fitting next Monday. In the market for a new set of irons so want to try out a bunch of different types and shaft combos to give me an idea of what I should buy. Great reviews... did anyone get hooked up with a discount? 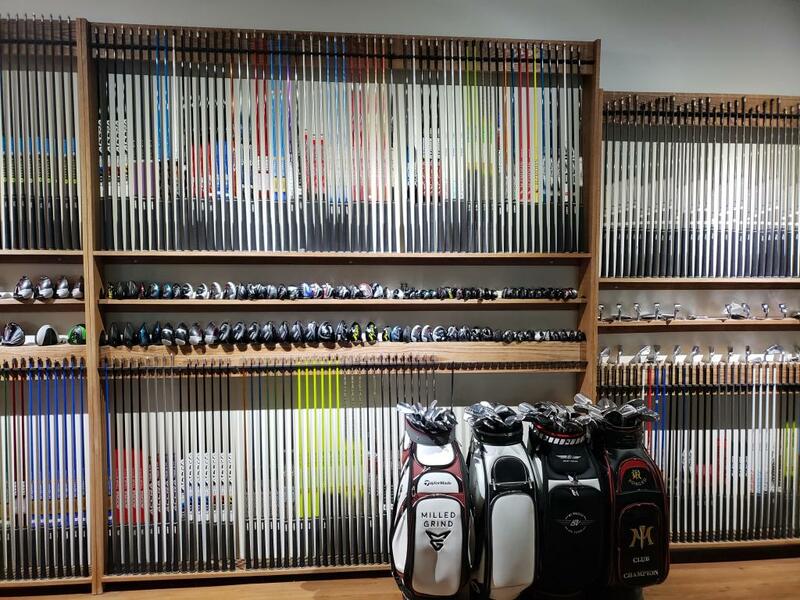 If someone went for a fitting could they try previous year models that aren't as expensive? Yes I was provided an option to have the driver built to my specs at a special price.